Computer repair in Japan, on site Tokyo computer repair. No. 1 english PC support in Japan, Saitama and Yokohama. Computer repair in Japan, Tokyo computer repair, computer shop in Japan, it computer repair, it help desk, pc japan. Thanks to our great location many customers from Saitama, Kanagawa and Tokyo bring their PCs and smartphones to our office. Please make a booking using the form above to make sure there is an engineer available when you come. Please note that the automatic email sent from the form only confirms that the message was sent, it is not a booking confirmation, please wait for a reply before coming for the office. This is a very popular and convenient service at LoreaTec. Customers from all over Japan send their computer to us for repair because of our fast service and very low prices. Ideal service if you have a PC that does not boot properly or need to replace hardware parts or any other software troubleshooting or set up. 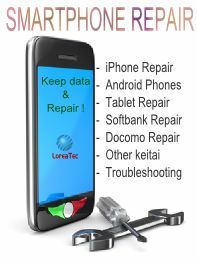 Remote repair is very convenient as you don't need to come to our office or send the PC and you get the same low prices as for mochikomi and takuhai. Please choose the day and time you want us to connect to your PC using the form above and we will send you the instructions to start the remote connection. We provide on site support in Tokyo Saitama and border areas of Chiba, Kanagawa, Tochigi and Gunma. 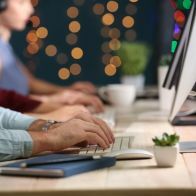 Please book your day and time and our engineer will punctually go to your place and help you with your PC and network troubleshooting or set up. We provide on site support in Japan for our worldwide partners. If you do not want to hire full time IT staff for your office in Japan we can provide support and maintenance services. We also provide white label services for your IT support company, if you need a local partner in Japan to provide IT support to your customers, we can provide a wide range of services in your name. *We check late night orders until 11:30PM. All the orders after that time will be serviced the next morning. 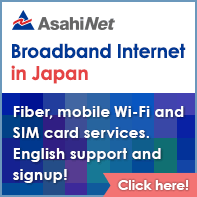 From ¥3500/month worry free maintenance and troubleshooting for your PCs. We can help you with any PC trouble or set up. Unlimited remote support! Phone Repair & Tablet Repair. Replacement of touch panel (digitizer), replacement of screen, battery, etc. iPhone data recovery, Android data recovery. After many years of experience in the IT assistance and repair field, we perceived an opportunity to bring extra value to IT consumers and we founded LoreaTec with one core belief: providing the best IT support and PC Repair services, produce economic growth and jobs, and significantly reduce the cost of IT support while bringing the benefits of technology to many more people. We are based in Kawaguchi, Saitama prefecture, a great location from which we provide on site IT support and PC Repair in Tokyo, Saitama, Kanagawa and Chiba and nation wide support using our delivery and remote services.